One tendency I’ve noticed is for people to confuse the Queen of Hearts from Alice’s Adventures in Wonderland with the Red Queen from Through the Looking-Glass. This was the case in Tim Burton’s film; and while I haven’t played it, I understand it was true in American McGee’s Alice game as well. I’m sure those aren’t the only such instances, but they’re the two that come to mind. Even the 1951 animated film gave some of the Red Queen’s lines to the Queen of Hearts. I guess it’s a little confusing as the Queen of Hearts is A red queen, in the sense that her suit is red instead of black. Also, they’re both somewhat antagonistic to Alice, but in different ways. As I’m sure you know, the Queen of Hearts is passionately angry most of the time, always yelling and demanding the beheading of anyone who angers her even slightly. She’s also not a fan of due process, as seen in her line “Sentence first, verdict afterwards!” The Red Queen, on the other hand, is prim and proper, always harping on rules of etiquette. She has a temper, but she lets it show through quiet displeasure, not screaming about beheading. She can also be quite helpful, as seen when she explains the game to Alice. 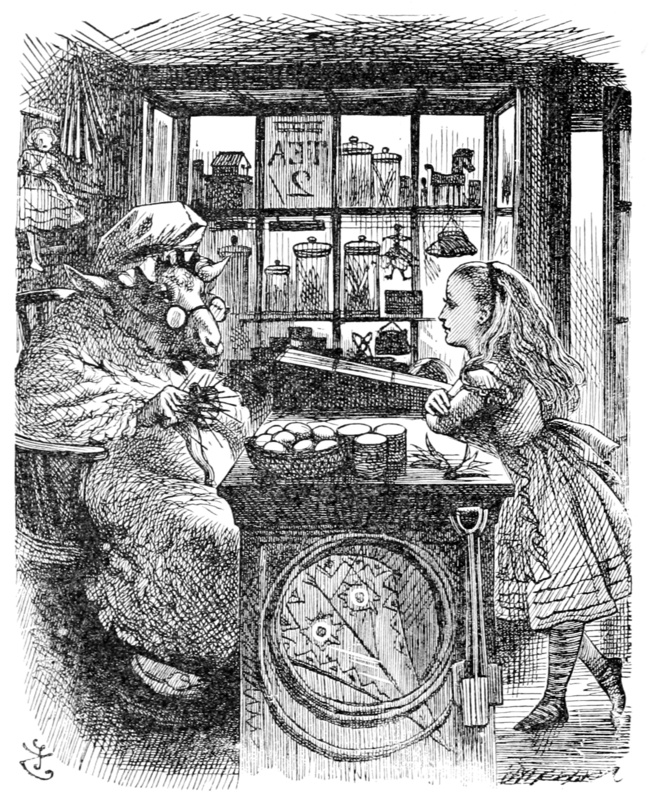 It’s been suggested that the Red Queen is based on the real-life Alice Liddell’s governess, which makes sense as she gives Alice an examination toward the end of the story. The other queen in the picture is the White Queen, who is basically a kindly but absent-minded old lady. She appears to be best friends with the Red Queen, despite the fact that they’re on different sides in their chess game. The Red Queen is rather condescending to her, but she doesn’t seem to notice, and they get along quite well. She also has the husband who’s the most active in the story, as the King of Hearts is generally subservient to his wife and the Red King always asleep. The two of them don’t appear together, but that’s chess for you. The queens are always moving around the board, while the kings tend to stay put. Oh, and the White Queen can turn into a sheep, apparently. So why the mix-up of the two other queens? I suppose it’s mostly an attempt to simplify things, instead of having two nasty queens running around. Hey, MGM turned Glinda and the Good Witch of the North into one character, and they’re not particularly similar either. It’s nice when you come across an adaptation that acknowledges the differences, though. This entry was posted in Authors, Board Games, Chess, Games, Lewis Carroll and tagged alice in wonderland, alice liddell, alice's adventures in wonderland, american mcgee, glinda, good witch of the north, king of hearts, mgm, queen of hearts, red king, red queen, the wizard of oz (movie), through the looking-glass, tim burton, white king, white queen. Bookmark the permalink. She was in the Burton film, but her characterization was totally different. Thanks! I don’t know if I’ll nominate anyone else, but I’ll definitely answer the questions.